One of the perks of being a substitute teacher is that you only have to work when you say “yes” to a call. So in a way, you get to make your own schedule that works with your life. It can be a great job for moms or those who need to work part-time or have flexible hours. It’s also great for those who are working their way towards their own education degree. The downfall, however, is when you don’t get as many of those calls as you’d like. This can especially be a problem if you are a new substitute teacher, in an area without a shortage of substitutes. Ready to get more sub jobs and keep your income steady? There are plenty of things you can do to keep teachers asking you back time and time again. 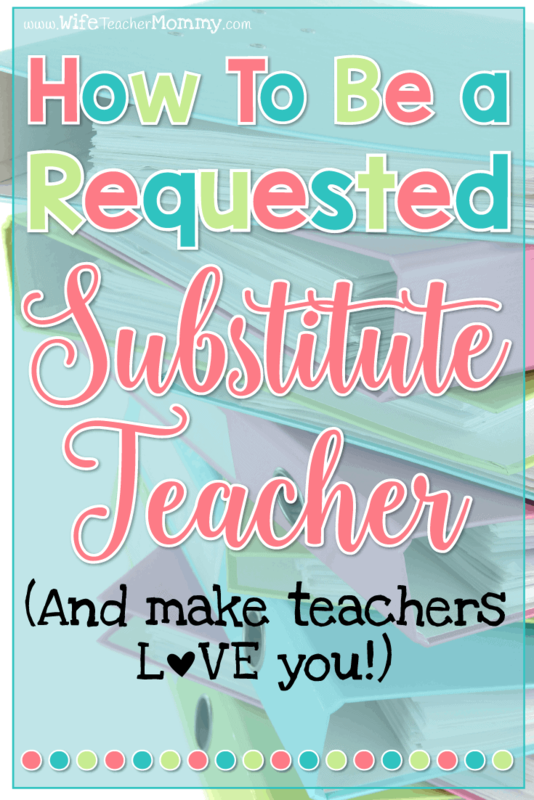 Subbing in your favorite classrooms can be a steady gig if you know how to be a requested substitute teacher (and make teachers love you)! School secretaries get really busy when staff and students start to arrive. Getting there a little bit early will allow you time to check in, go through materials and plans, and ask questions of colleagues. Come extra early if it’s your first time subbing in a building or a classroom. This will allow you to know where bathrooms, specials (for elementary), teacher’s lounge, and the lunchroom are located. Showing up early also shows that you are committed to the job and responsible. Teachers (and administrators) love that and will ask you back. If the teacher leaves materials and specific sub plans, use them! There is nothing more frustrating for a teacher than preparing sub plans then returning to find that they were not used. Taking a day off from the classroom due to illness or professional obligations is difficult for teachers. There are so many reasons teachers don’t use their sick days even when they’re sick. Don’t let ignoring the plans be one of them. Bring extra materials. . .just in case. Even though using teacher provided materials is preferred, there will be times when the teacher doesn’t provide enough for the kids to do. Pack an emergency kit of extra activities to be prepared. The teacher will be so grateful that you came ready to go even when they didn’t have everything in order. You’ll be surprised how handy having extra activities available will be! You never know when you might be called into a classroom without any lesson plans. Luckily, a full day of activities for K-6 is included in the Substitute Teacher Resource Binder. We also have lots of freebies available in our free resource library that are perfect for subs! Brush up on classroom management. 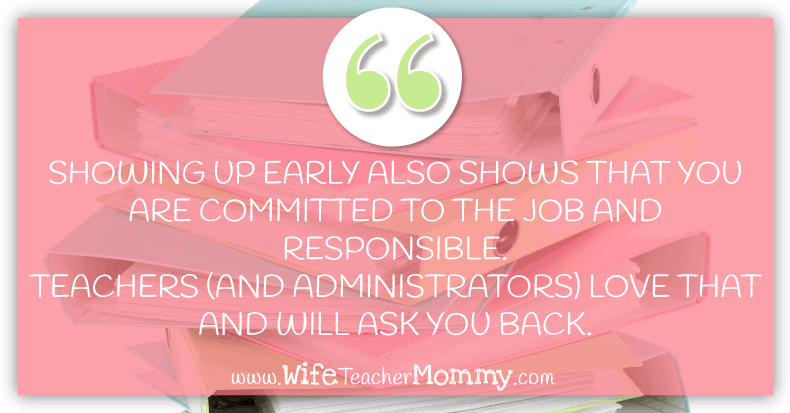 Getting to the school early will help you know general discipline plans for the school, but behavior ultimately comes down to classroom management. Lay out expectations early and often. Remind the students that when you give a good report, their teacher will be happy. Happy teachers mean happy students! 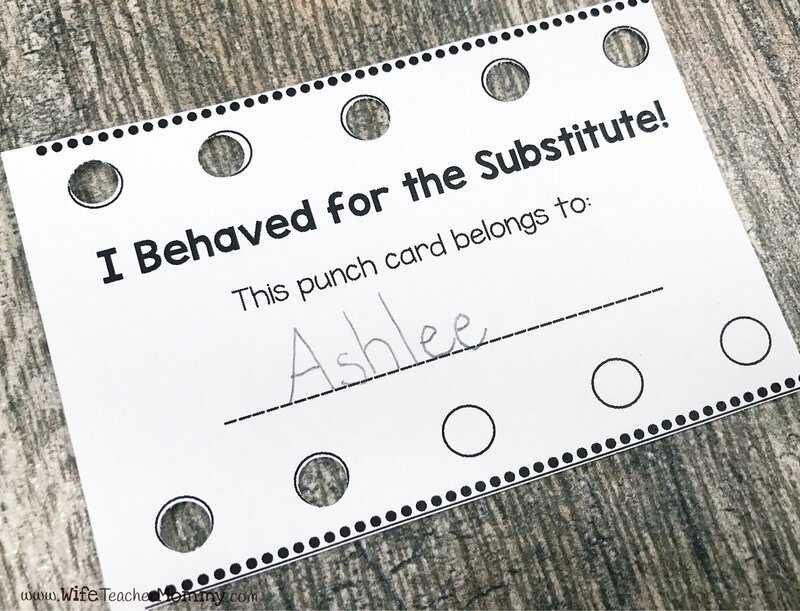 One great way you can incentivize good behavior is by using substitute punch cards. You can grab these for free in the resource library by clicking here! You’ll also find them as a part of the Substitute Teacher Resource Binder. If not following provided plans is the biggest complaint teachers have with guest teachers that they don’t ask back, leaving zero feedback is the second largest concern. Teachers want to know which students had a difficult time following directions, if plans didn’t go well, and which students were particularly helpful. There is no way for teachers to address concerns if they aren’t brought to their attention. Write down the good and the bad, so when the teacher returns, they can process with their class or individual students or adjust plans as needed. One great way to do that is with the substitute note forms that you can find in the free resource library. You can sign up for access to those here! (You’ll also find this page and even more resources in the Substitute Teacher Resource Binder). If students hand in homework that has a definitive answer key, grade if you have time. Coming back to a pile of papers can be exhausting for a teacher, and if you can tackle a bit of the grading during a plan period, it’ll definitely put you at the top of the teacher’s sub list! Avoid grading subjective work like art and writing since the teacher may have a specific rubric or format to use. When teachers have a sub that did a wonderful job, we’ll immediately put their phone number in our phones, email in our address books, and name on their preferred sub lists. Make it easy for the teacher to get ahold of you, and remember you, especially if you want to come back. I would recommend keeping multiple copies of your info page in your substitute resource binder. Then, you can always have a copy to give to teachers when it’s your first time in your classroom. It’s a great way to leave a good first impression. 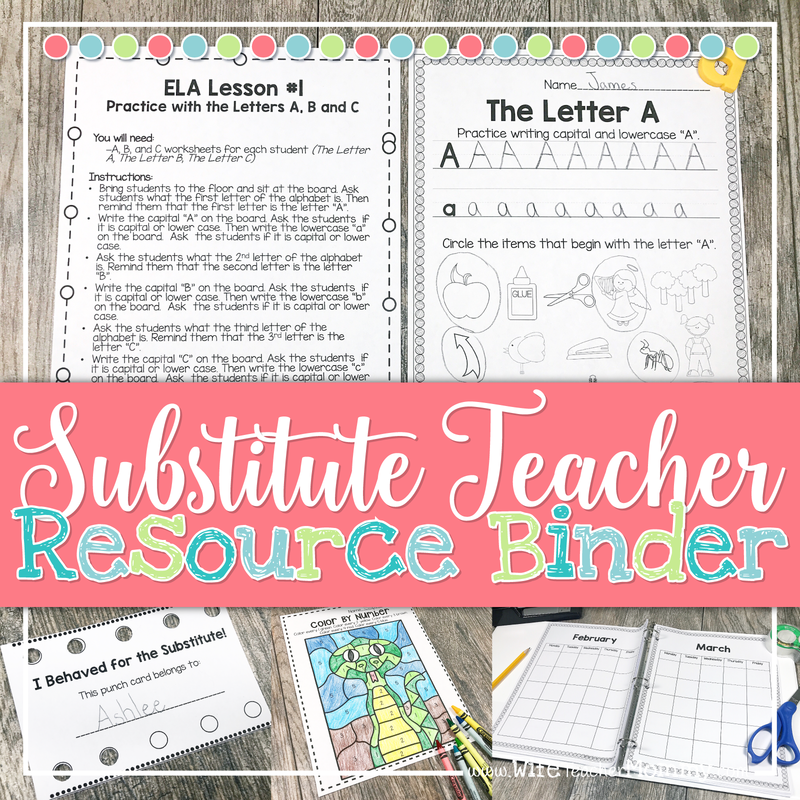 Everything you need in the Substitute Teacher Resource Binder! 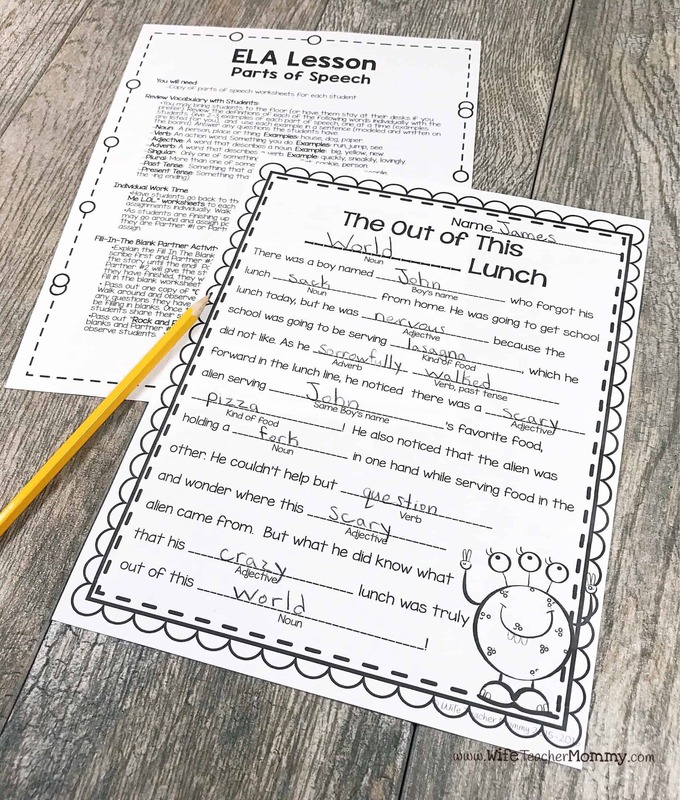 Looking for a comprehensive, all-in-one resource with absolutely EVERYTHING you could need to substitute in the elementary classroom? I’ve got you covered! 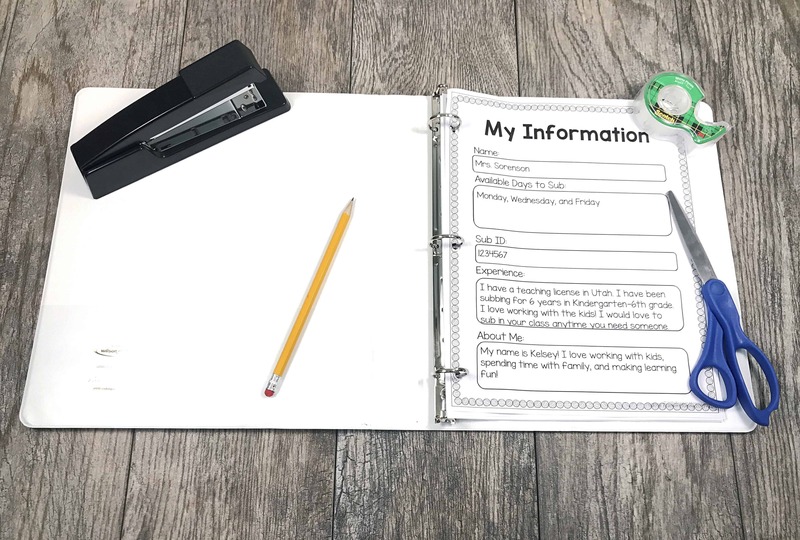 The Substitute Teacher Resource Binder includes an entire day of sub plans for Kindergarten-6th grades, plus TONS of bonus activities, a calendar, notes pages, and more! 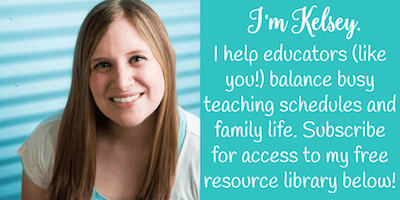 “This resource is perfect for me! As a Substitute, I have been in classrooms where the teacher did not leave any plans. 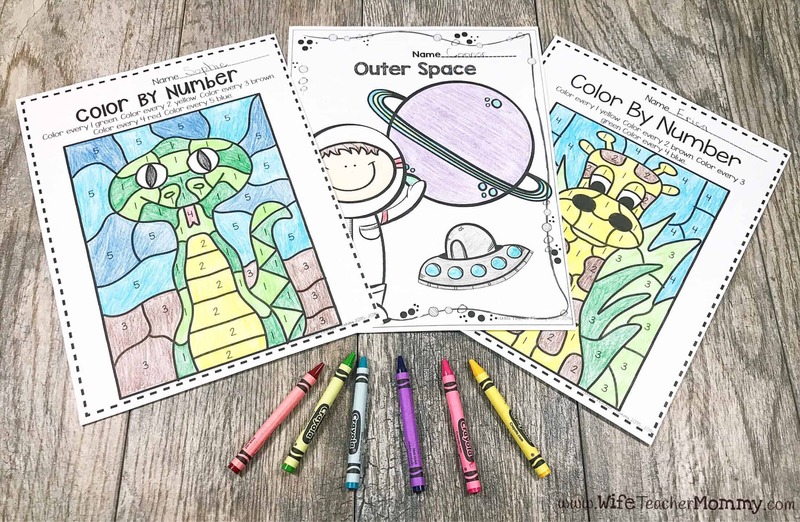 This is perfect with lots of resources so I don’t have to think of ways to keep the kids busy.” -Melissa G.
“Excellent resource! Just started casual teaching and the range of resources and activities will be extremely useful for me!” -Danielle W.
Not ready for the full bundle yet? No worries. You can also sign up for freebies in the free resource library by clicking here! These will get you well on your way to having a resource binder as a substitute teacher. When teachers know that their class is in good hands, it makes it less stressful to leave their classroom to someone else. You too can be a guest teacher that everyone classroom teacher calls again and again. 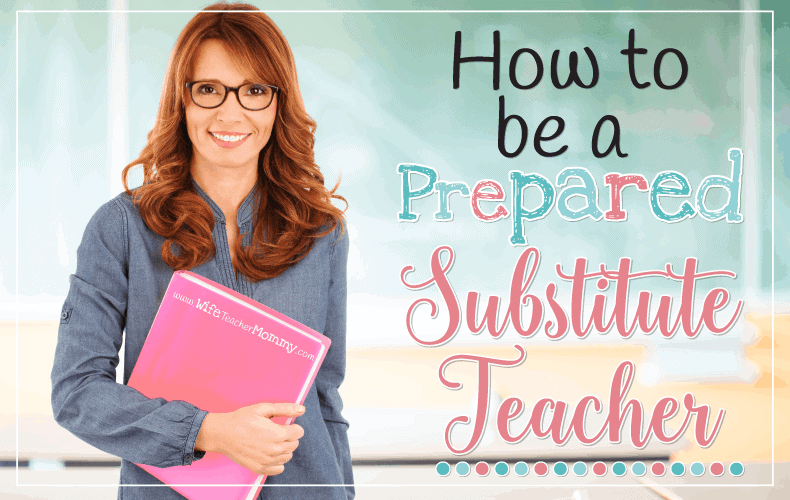 Follow these tips for how to be a requested substitute teacher and your calendar will be full from August until June!